Point6 is a family-owned company whose focus is on people before profits, and who take sustainability and protecting our environment seriously. 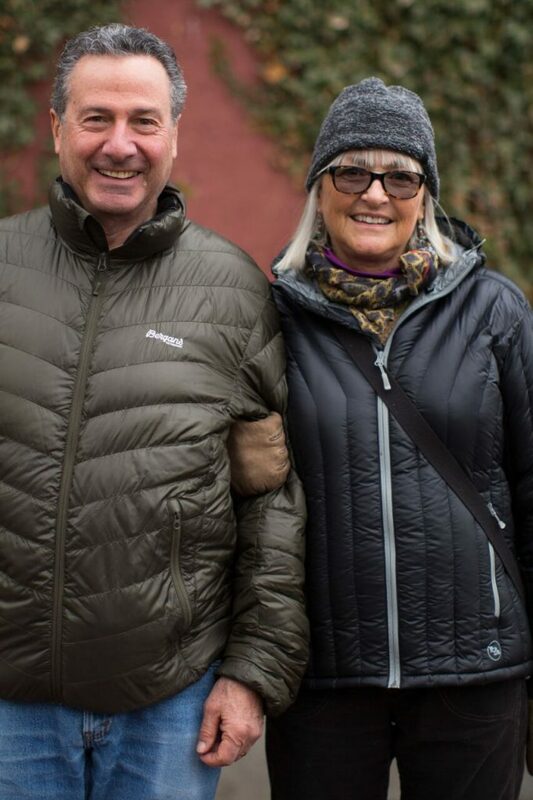 We caught up last week with Peter Duke, Founder & CEO, pictured left with his wife and Co-Founder Patty, to find out what’s new for the brand in socks and baselayers. 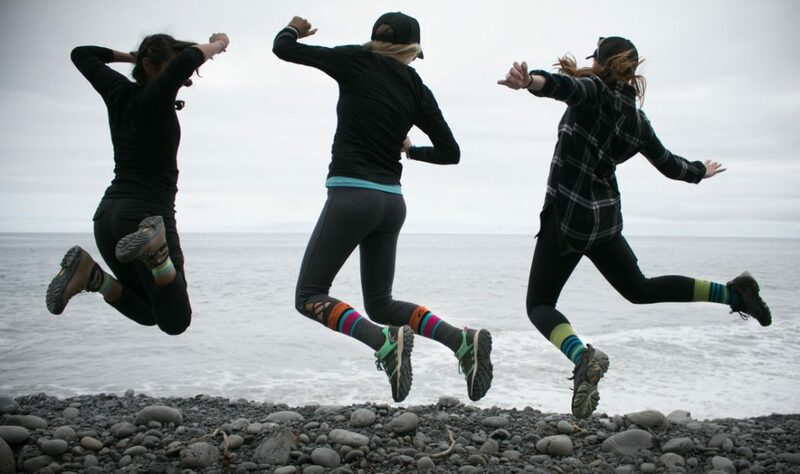 For more than four decades, and from day one, you set out to make the best merino wool socks on the market with a lifetime guarantee and you subscribe to the highest standards of sustainability. That’s right. Our competition does not come close to what we do. You and Patty are experts in sock design. 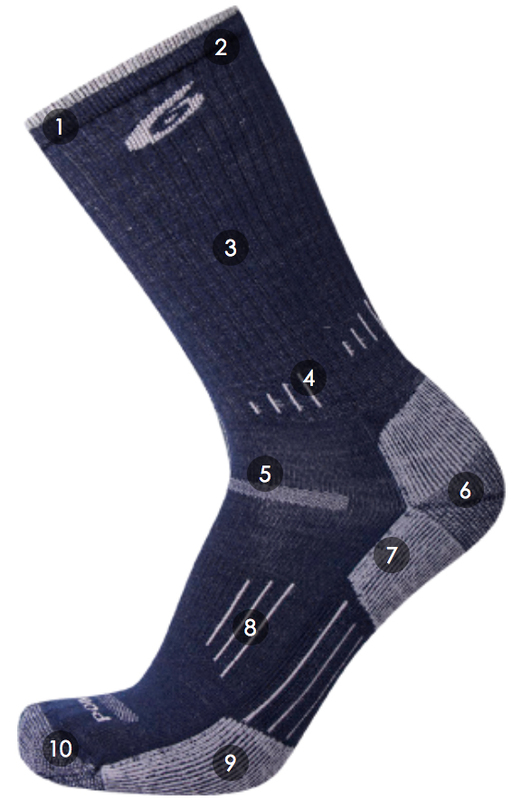 Why are Point 6 socks awesome? We upped the game with the technology we introduced to market like seamless toe closures, which now everyone is doing. We also introduced compact spinning for durability and to maintain the cross stretch and the comfort level of our socks which no one else is doing because it costs more money. Socks are a science and an art form. 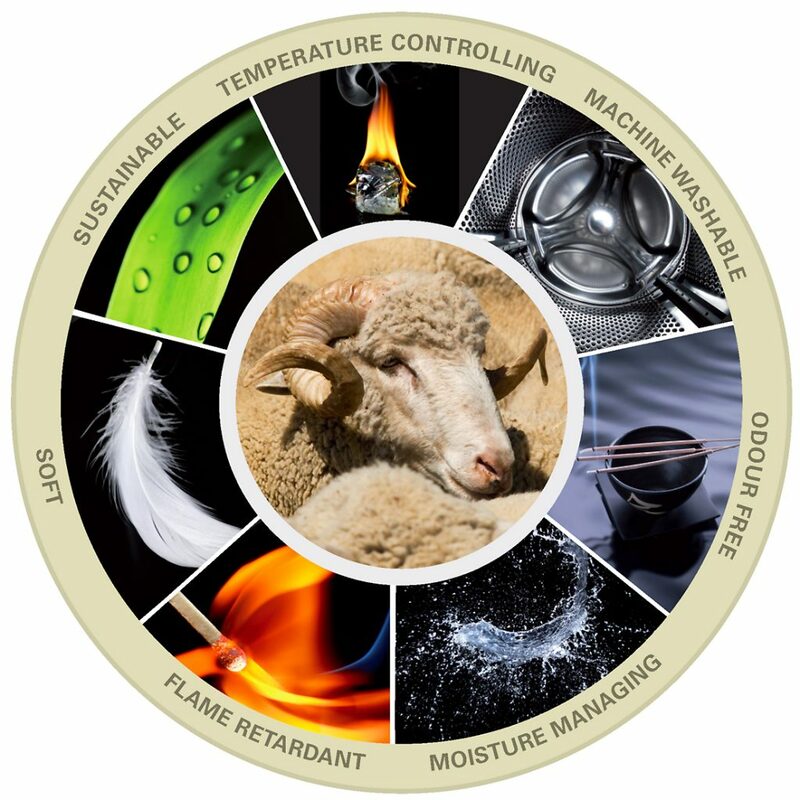 To know how to take merino wool and to bring it to a level for durability and for comfort takes years of learning. A lot of vendors do not prescribe to that. What they want, and they are looking for, is the best price on the wool and within that wool, specifically for socks, they will throw in a lot of 38 to 40 micron merino wool as well as a lot of 15 and 16 microns in the wool which will average out to 22 to 23 microns. But that heavy dose of 38 to 40 microns will itch. And the heavy dose of 15 to 16 microns is so fragile, because of the 38 to 40, that the product will start to develop holes. The lower the number of the microns, the shorter the staple length of the fiber. Point6 combs out all of those impurities. It costs us more, but we have a better wool product than everyone else. We are also always researching in design and development to make the best socks that are both functional for the wearer and environmentally sustainable. See the diagram to the right … (1) Non-binding welt top, (2) Size & Style name, (3) Exceptional cross stretch, (4) Ankle brace, (5) Ventilation panels, (6) Deep heel pocket, (7) Reinforcement, (8) Arch support, (9) Sport-specific cushioning, and (10) Ultra smooth toe seam. Where you put the padding and how you put the padding is relative to the volume that the consumer needs in the type of the shoe they buy and for the activity. 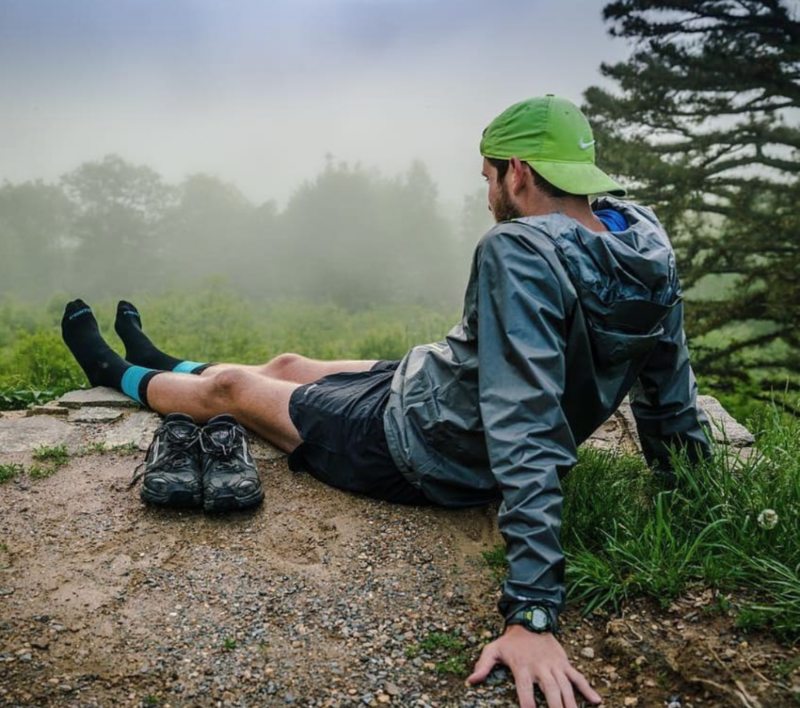 We build in additional stretch and pull over the instep and around the arch so that you get more support, and Merino wool absorbs and evaporates the moisture off your body and out of your socks to keep both the foot and the shoe dry. 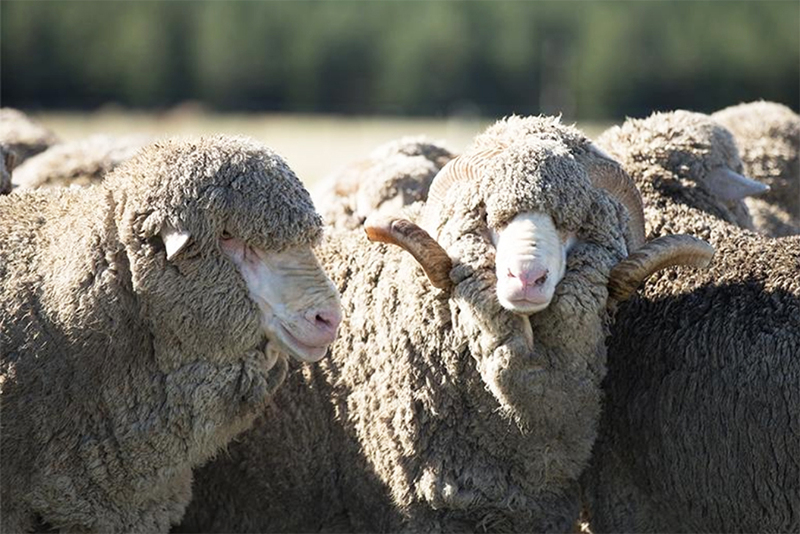 Point6 has developed direct relationships with merino wool farmers in New Zealand on family-run sheep stations. These farmers hand-select wool for Point6 according to strict fiber specifications. Our sheep are raised according to the highest standards of animal welfare with ample food, comfort, and shelter provided in a disease and distress-free environment. We regularly visit our family-run farms to visit our farmers and happy sheep. Are you implementing any new initiatives in the Sock category? For Summer 2019, every single sock that we make will include 37.5 technology from Cocona. 37.5 absorbs and evaporates moisture off of your body. Scientific tests prove that by adding 37.5 we increase the wicking process by 39-percent compared to all other socks on the market. For more than three years we have been in development with Cocona, and we now have the process totally commercialized so we can offer competitively priced socks. From a sustainability perspective, we use a plasma treatment in the manufacturing process that does not flush chlorine into our water systems. We live in a time where the young consumer is more educated. 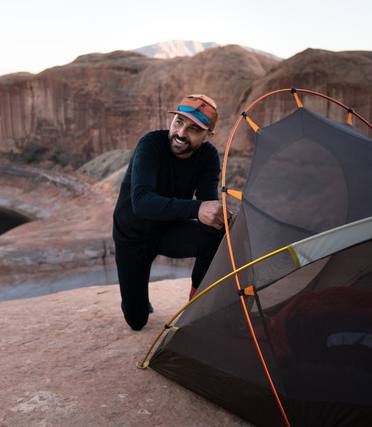 They are always looking for free time to go out on an adventure that they enjoy, and they put their entire energy into enjoying that sport or adventure. They will research everything they can to find out what they believe is to be the best product out there. They can get on the internet and maneuver through to find the results of different products. They are better versed, willing to spend a little more money, and they will go out and do the math. So, if you go out on an adventure over a couple or more days, you want to go out into the elements and pack as little as possible. You don’t want to have take multiple pairs of cotton or synthetic socks. You only need one pair of merino wool socks. You can wear them for weeks at a time and they don’t stink. Same thing for your undergarments. You only need one baselayer not many. I think they understand that you need the minimal amount of goods to have a better adventure. If you want the ultimate layering system, the foundation is your underwear, aka “base layer”. 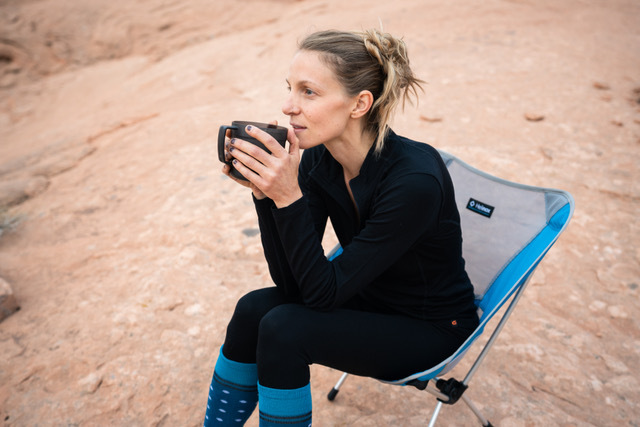 Point6 Base Layers are the only base layers made of 100-percent Compact Spun Merino Wool to control body temperature and increase fabric durability. We are following through with what we do with our socks and that is we still use the compact spun yarns which also eliminates pilling. Ours can be machine washed and dried without fear of shrinkage.The fit is really a great sport fit that contours the body. The seam is not over the top or middle of the shoulder but rather sewn on the front and back of the body. Our baselayers have a lower micon than our competition. They use roughly 18.9 to 19.1 microns. Ours is between the 18 to 18.5 range. We’ve taken an extra step in trying to eliminate the itching and have a much better product. We’ve also added another initiative to address the environment. The garments are not packaged in boxes, but rather we created a stuff sack that has re-useable opportunities. How has the collection been received? Fabulous! Just about a year ago a major retailer approached us and asked if we could make baselayers. Our response was ‘of course’. We delivered with a seven-month turnaround and the quality is next-to-none. We ordered what the retailer ordered plus an additional 2100 pieces, and we are practically sold out. How do you address your competition in the baselayer category? I basically let the competition roll so as long as everyone is honest with their product. I know we make the best product. I’ve taken that attitude in our socks, and I take that attitude in our baselayers. What is the anatomy of Point6 baselayers? Our baselayers are a 240- to 250-gram garment, which is considered a medium weight. The collection is targeted to the skier. I don’t believe in making a baselayer in the lighter 150-gram range. When you get down to a garment that thin, it’s flimsy, it’s subject to ripping apart quicker, and I don’t necessarily believe that it offers anything more or less than a mid-weight. I believe it’s what the consumer can see as more summer weight. As we eventually develop summer weight baselayers, which would be short sleeves, we’ll stay with the 250-gram weight. We use a compact spun yarn that eliminates pilling and also increases the durability by 25- percent. Do you sell to big box and specialty retailers? Just speciality. It’s very difficult to capture the consumers eye at the retail level. But this is where the specialty retailer comes into play to seek out new and better products so that the specialty retailer, by doing so, will combat the big box people. Otherwise it gets diluted. 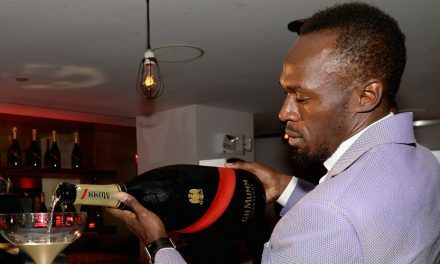 If they follow their true instincts of seeking out the best product, then they have something to talk about over the product that everyone else is selling. Millennials are becoming the world’s consumer. With the changing of the guard comes a focus on sustainability and environmental responsibility, but they also want quality. How is Point6 addressing this? We have always been a steward for the environment. It’s part of our DNA and not a marketing play. And it speaks to the products and how we make them. One, we have eliminated boxes with stuff sacks. We use a plasma treatment that eliminates chlorination to allow our garments to be machine washed and dried and friendly to the environment. We also use compact spinning which increases durability by 25-percent. That millennials believe ethics are important is good, but who are the watchdogs making sure that companies are doing what they say they are doing? Often times I find that companies find the need to use the word ‘sustainable’ and perhaps it is being used too often. All the products that we make that are seconds and cannot be used for anything, we recycle to be reused. Nothing goes to waste. All of our customers and retailers can be absolutely assured that we are very sustainable. We have always been willing to step over the boundary line and spend the additional money. I know that to be true.